Mali international Yacouba Sylla has joined Norwegian club Strømsgodset on a two-year deal in a quest to play at this year's Africa Cup of Nations. The 28-year-old midfielder is a free agent after leaving Belgian club KV Mechelen in early February. This will be the much-travelled player's seventh club in six years. Sylla, who also played in England with Aston Villa in 2013, is excited about the new challenge ahead of him. "I am very happy to have joined Strømsgodset. It is a great opportunity for me to play football in a new country and I look forward to helping the team with my qualities and experience," he told the club's official website. "I'm very ready to give everything I have and I am just looking forward to getting started. "I have met nice people on arrival here and I noticed that there is a good atmosphere in the club." After struggling at Aston Villa, Sylla moved to Turkey by joining Kayseri Erciyesspor on a season-long loan in July 2014. He quit Aston Villa for a return to France by joining Rennes on a long-term deal in July 2016. 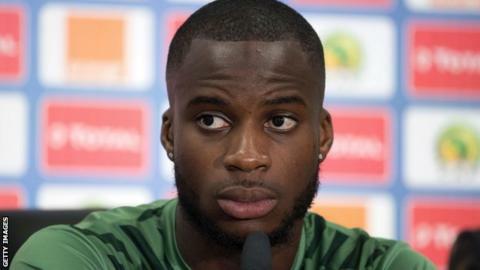 Sylla had loan spells at French rivals Montpellier and Greek club Panathinaikos before joining KV Mechelen in January 2018. He represented France - his country of birth - at youth level, before switching to Mali. Sylla, who has 30 appearances for the Eagles, captained Mali at the 2017 Nations Cup tournament. His last appearance for the West Africans was against Morocco in a 2018 World Cup qualifier back in September 2017.